Completion of first-year requirements with no failures. Students must have an average of at least 70% in 3.0 principal courses, including American Studies 1020, plus 2.0 additional courses from Political Science 1020E, a first-year History, or a first-year English, with no mark in these principal courses below 60%. 1.0 course from: English 2017, the former English 2308E. 1.0 course: Political Science 2244E. 3.0 courses from: American Studies 2230F/G, American Studies 2231F/G, American Studies 3330F/G, American Studies 3340F/G, English 2201F/G (or the former English 2210F/G), English 3201F/G (or the former English 2250F/G), English 3479F/G (or the former English 3667F/G), English 3490F/G (or the former English 3666F/G), English 4470F/G (or the former English 4620F/G), Film Studies 3357F/G, History 2817F/G, History 3807E, Women's Studies 2817F/G, the former Film Studies 2253E, the former Film Studies 2255E, the former History 2303F/G. 1.0 course from: History 3301E, History 3305E, History 3307E, History 3309E, History 3311F/G, History 3313F/G, History 3326F/G, History 3391E-3395E, History 3396F/G-3399F/G, History 4301E, History 4803E, the former History 4707E, or relevant Special Topics courses in History with permission of the Director of the Program in American Studies. 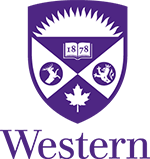 1.0 course from: Anthropology 2211F/G, Anthropology 2216F/G, First Nations Studies 2211F/G, First Nations Studies 2216F/G, the former Anthropology 2231F/G, the former First Nations Studies 2132F/G, the former First Nations Studies 2231F/G. 1.0 course from: American Studies 4420E, American Studies 4430F/G, the former American Studies 4400E.